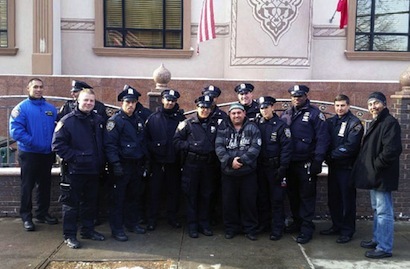 NYPD Officers also had a chance to meet the members of the organization and to see how they practice during Friday Pray. Imam Ilyas Gonen made a speech on Islam and how to fight w terrorism. Imam stated that" Muslims are not terrorists, islam is a religion of peace. it does not allow the killing of others, and that those who carried out the attacks are twisting the teachings of Islam by claiming to act in the name of Islam." 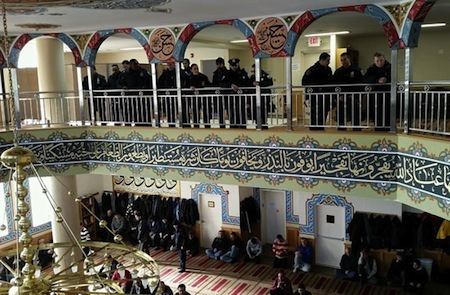 One of the NYPD Officers, Jack Shnayder said" When we get to know the Moslem Community, We understand better. This kind of visits are very helpful for us"
Congresswoman Yvette Clark has been visited to Eyup Sultan Center and the Executive Committee is planning to invite NYC Mayor Blasio with the upcoming months.